General Description The property consists of the main house, Prince’s Lodge, which is a colonial-era listed two-storey house built in 1808, including 3 bedrooms on the first floor, and a separate studio flat on the ground floor, together with Drake’s Cottage, a self-contained 2-bedroom bungalow, built in 2006 by the current owner. The two buildings are loosely connected by a converted garage that now serves as a covered outdoor space, all occupying the southern end of the 2 acre plot, with the front of the houses facing north (towards the sun) and looking imperiously down the valley. The front of the main house sports a covered veranda, which issues on to a lower tiled patio which includes a raised pool. In front of the patio is the driveway, which curves gently to the gate and issues via a private driveway on to the main road opposite the road that leads up to the High Knoll Fort. 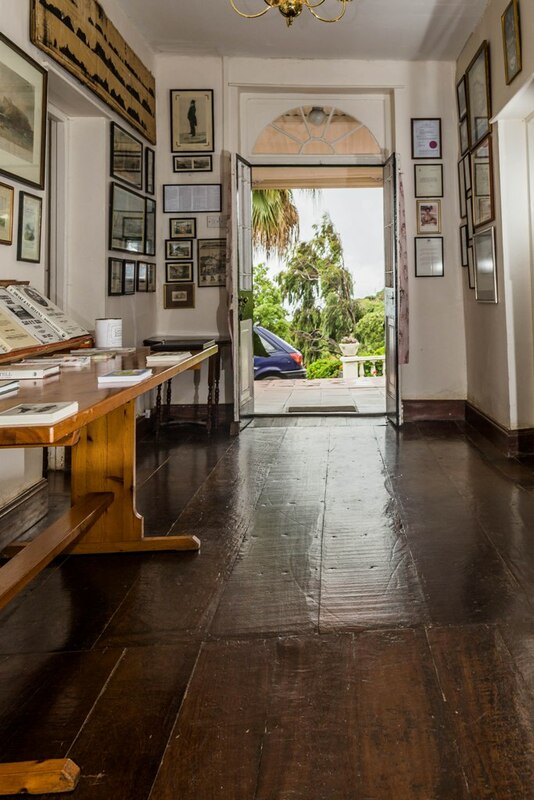 Of significant importance is the collection of heritage-class artworks focusing on the Island of St.Helena and its history, comprising about 500 pictures, etchings, prints, maps, lithographs, aquarelles, engravings and other articles. 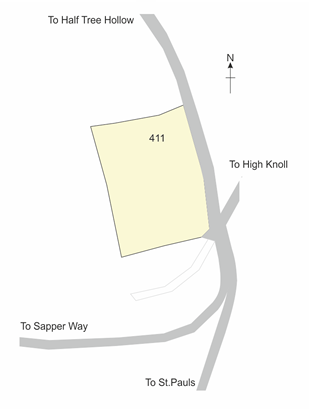 The property is situated across the main road from the entrance to the road to High Knoll Fort, at the top of Red Hill. Discovered in 1502 by Joao da Nova, it was used mainly as a stopover for ships wishing to restock with fresh water and harvest the plentiful trees for wood. But the Portuguese never settled the island permanently. In 1657, the English East India Company was granted governorship of the Island, and the first Governor, Sir John Dutton, arrived the following year. Then in 1661, King James II issued a Royal Charter, fully legitimising the occupation. After from a brief period during which the Dutch took possession of the Island, the English East India Company retook the island in 1673 and King Charles II issued a new Charter granting full title of the Island to the Company. 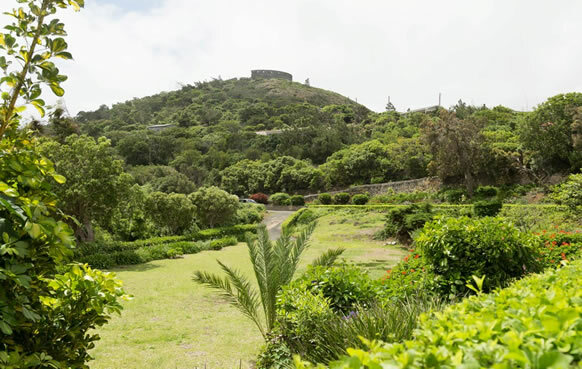 While St.Helena’s history has generally centred on the sea and shipping, the future seems to be more focused on air travel with the opening of the St.Helena International Airport in 2017. The Island is situated at about 16°S 6°W, so lies very close to the Greenwich meridian and within the tropics. A flight from Johannesburg in South Africa currently takes about 6 hours and operates once or twice a week at the moment. St.Helena’s devotion to the UK monarchy is legendary, and was not damaged when in 1981, British citizenship was mistakenly overlooked in the passing of the British Nationality Act. Thankfully, the mistake was corrected and citizenship was fully restored in 2002. Saints speak English and use St.Helena Pounds and UK Sterling as its currency. The climate is mild, with an annual wet season rather than a winter. 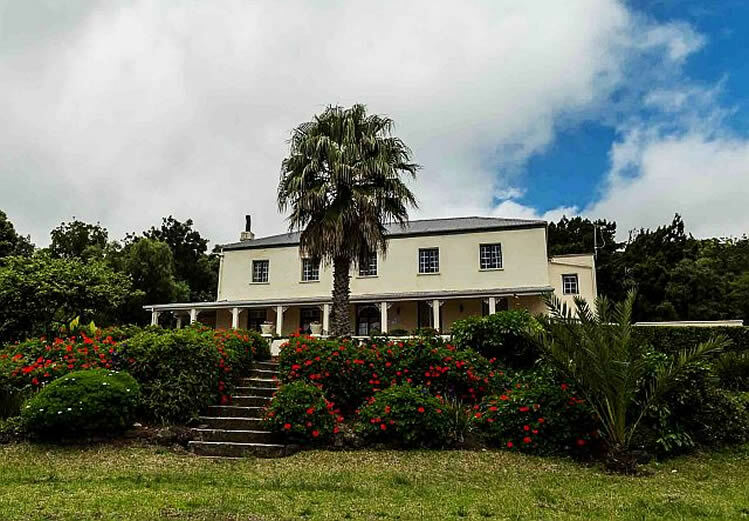 Built in 1808, the main house was owned by a succession of dignitaries until leased eventually to a Mr Richard Prince, from whom the name of the house originates. 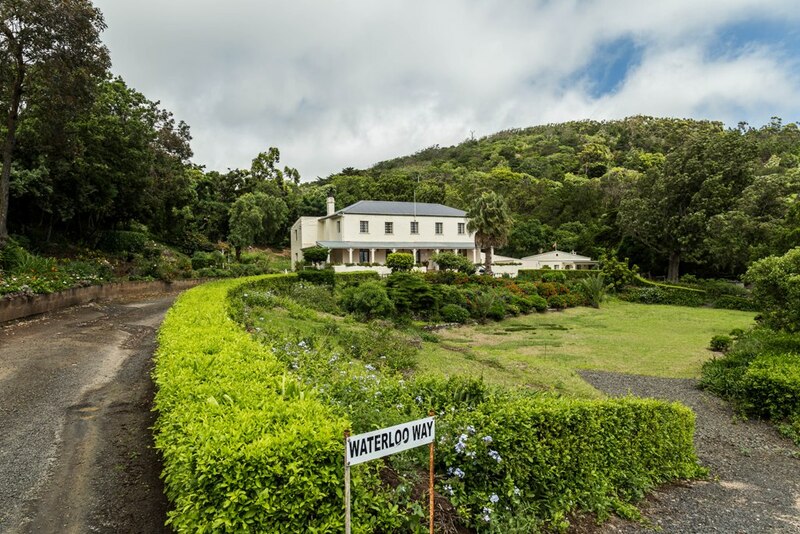 Subsequent owners or tenants were Governor Harper in 1925, H.W.Solomon in 1932, the then Bishop of St.Helena in 1961 (when the property was known as Bishopsholme), and finally to the current owner, Robin Castell, who now resides in South Africa. 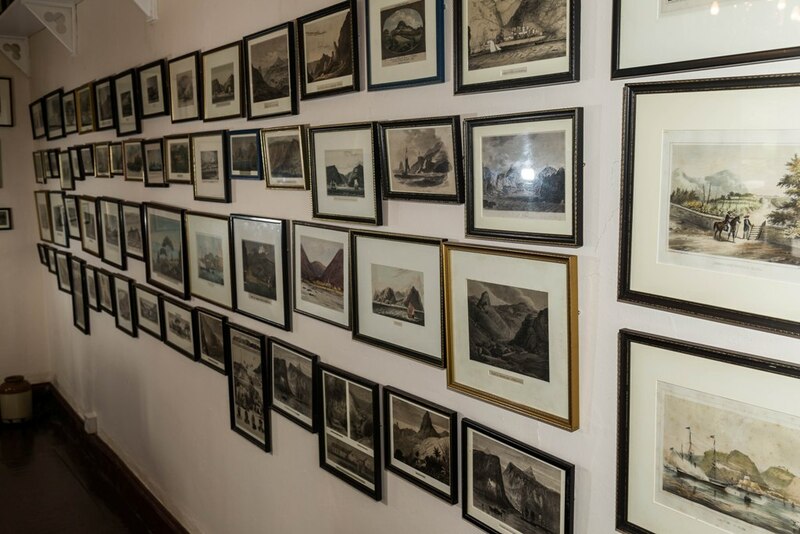 The house is now the home of the Castell Collection, consisting of about 500 framed watercolours, etchings, prints maps, aquarelles, engravings and articles about St Helena Island. 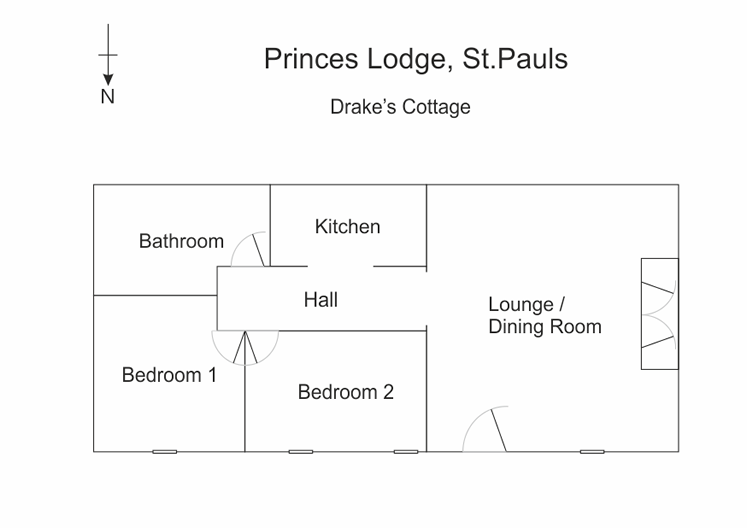 In 2006, the Drake’s Cottage bungalow was added. 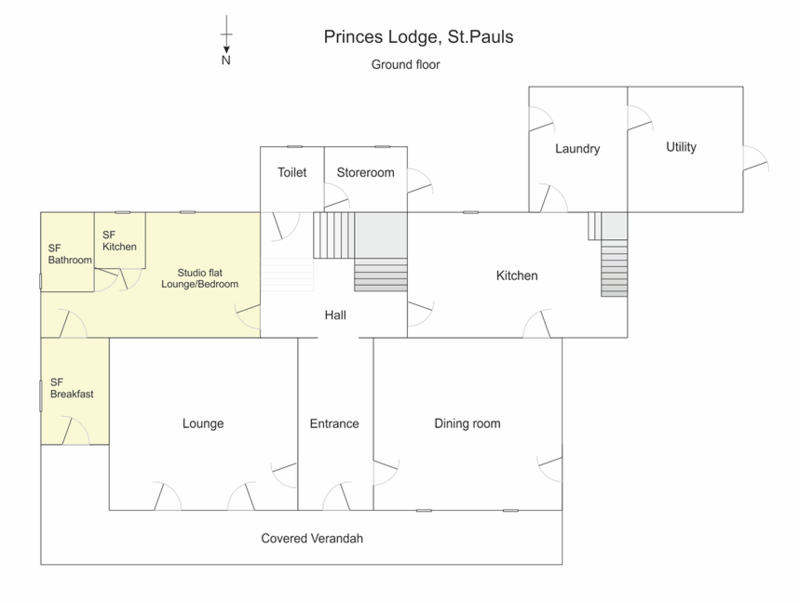 Prince’s Lodge contains a self-contained Studio Flat, described separately. 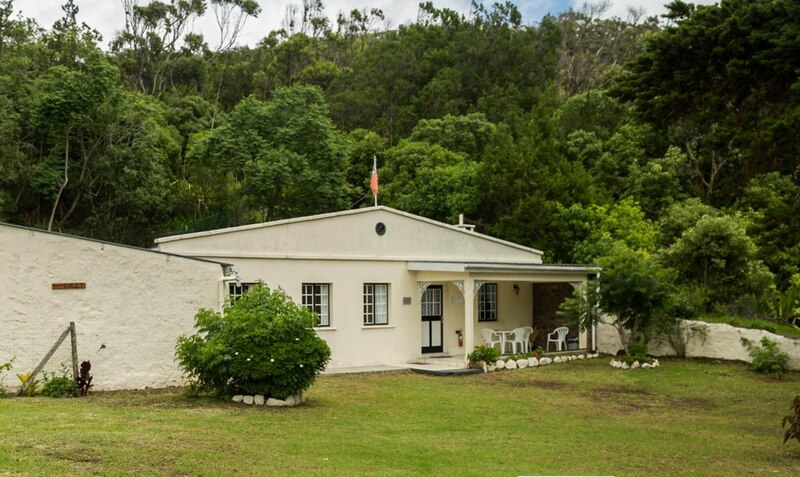 The following describes these two buildings separately, although the sale includes them both and there is no intention that they be sold separately. The description of the Outside is common to both. 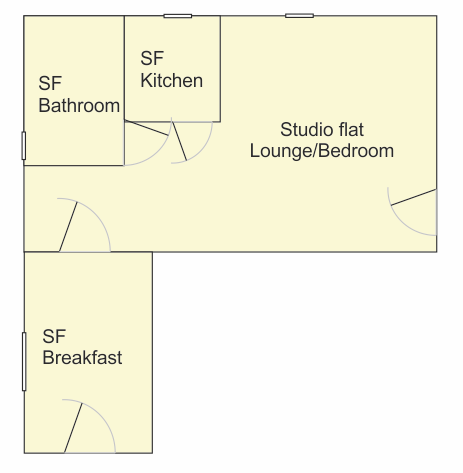 The main house includes a separate Studio Flat with its own entrance. 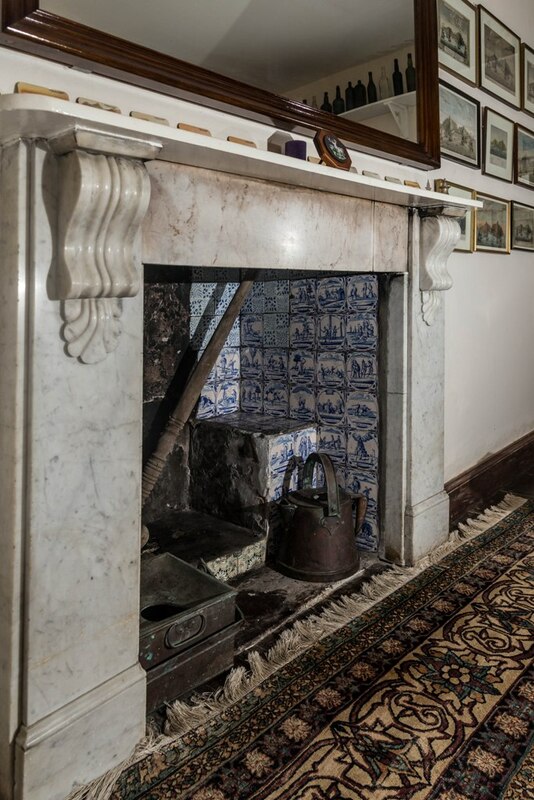 The layout of the main house is common to several houses built in the same period, with the front door opening on to a spacious Entrance, leading to a Hall containing the main staircase. A Lounge and a separate Dining Room lead off the Entrance, while the Kitchen and what was a separate reception room (now the Studio Flat) leading from the Hall. 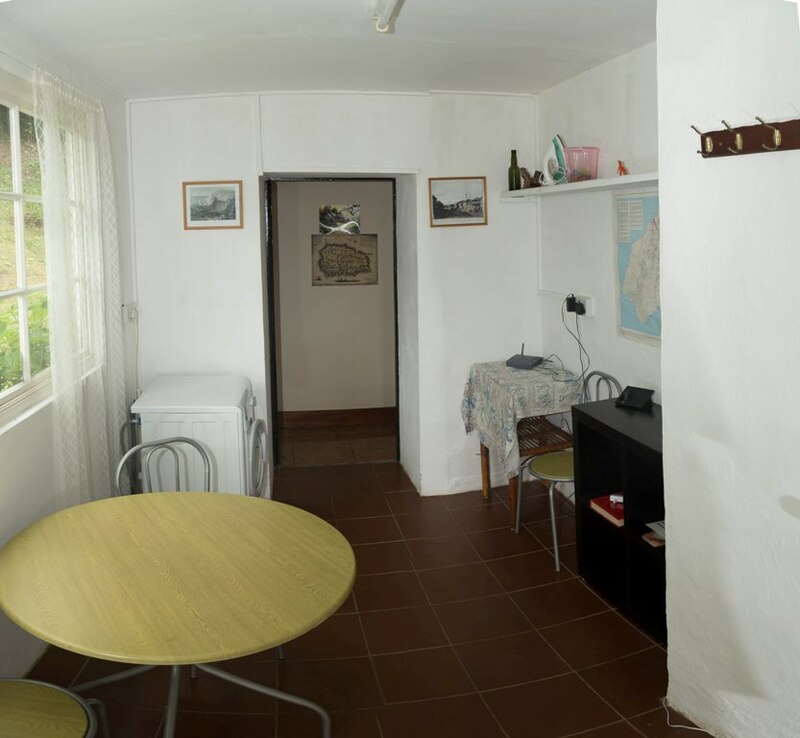 Additions to the original house include a Breakfast Room for the Studio flat, a downstairs Toilet, Storeroom, Laundry Room and Utility Room. 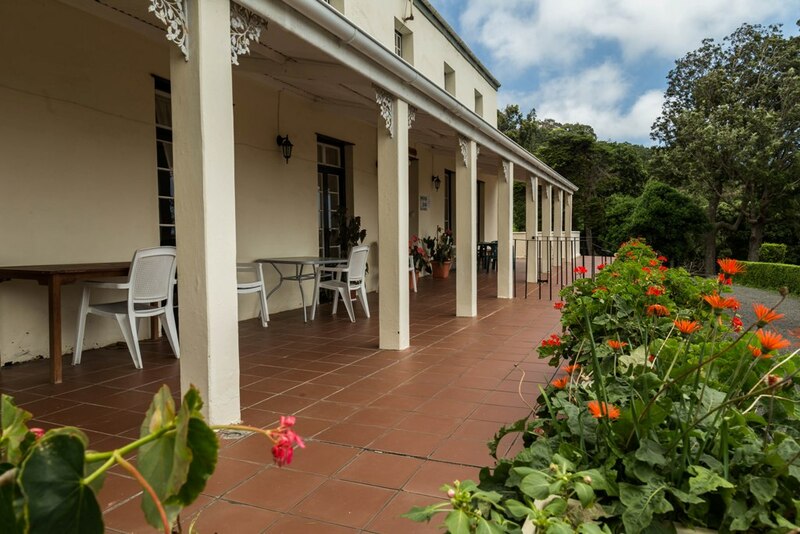 At the front of the house is a covered Verandah. 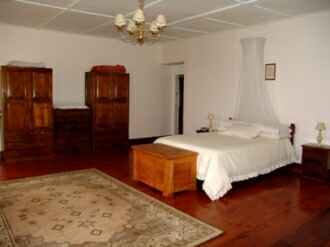 Unless otherwise mentioned, all floors are of treated pine boards, some with carpet covering. Entrance 5.5m x 2.5m space. Leads via archway to adjoining Hall. Doors to Lounge and Dining Room. 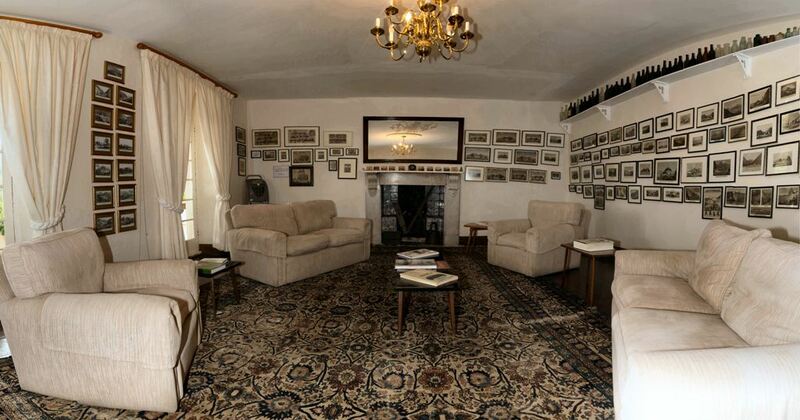 Lounge 5.5m x 6.0m space, with open fireplace, two double inward-opening glass-paned doors leading to South to Covered Verandah; hanging candelabra (electric).Door to Hall. 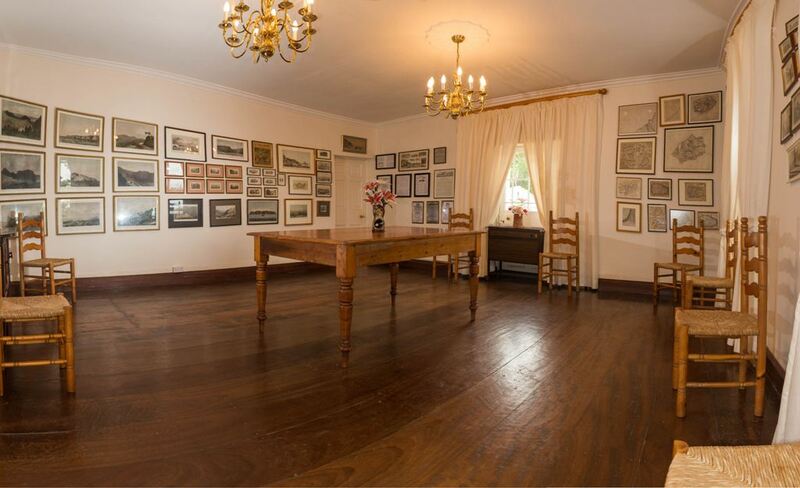 Dining Room 5.5m x 6.0m space, two windows to South overlooking Covered Verandah..Door to Hall. Hall 5.0m x 4.0m space, with main staircase leading to First Floor, door to Toilet, door to Kitchen, door to Studio Flat (now not used). Kitchen 7.0m x 4.0m space, with ceramic tiled floor, built in locally-made kitchen, with double electric oven and gas hob. Window to south, door to Laundry. The Kitchen also includes a back staircase leading to Bedroom 3. Also with door to exterior. 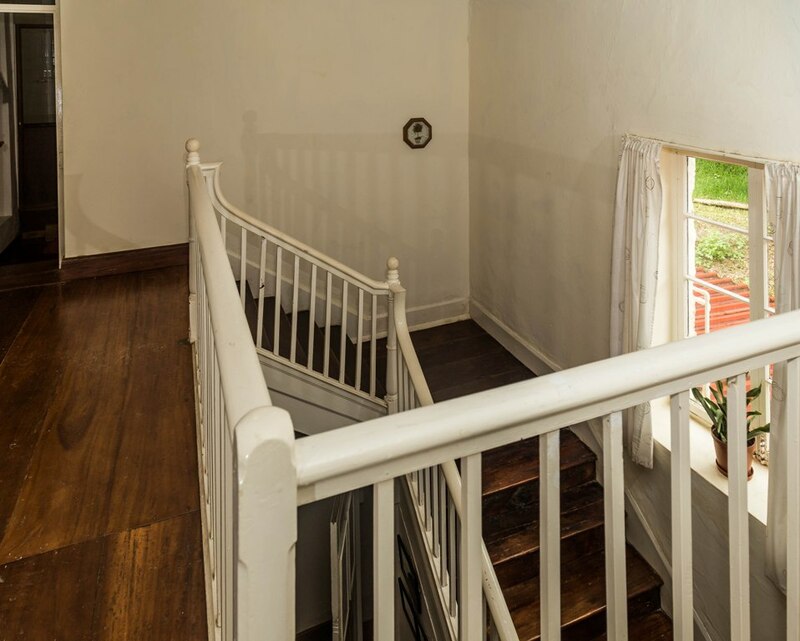 Stairwell Including a Landing, which extends southwards to provide access to Bedroom 1 and Bedroom 2 and the main Staircase leading to the Ground Floor. Door to Bedroom 3 and Family Bathroom. Window to South. Bedroom 1 5.5m x 8.4m space (except for extension to Landing), three windows to north, window to west. 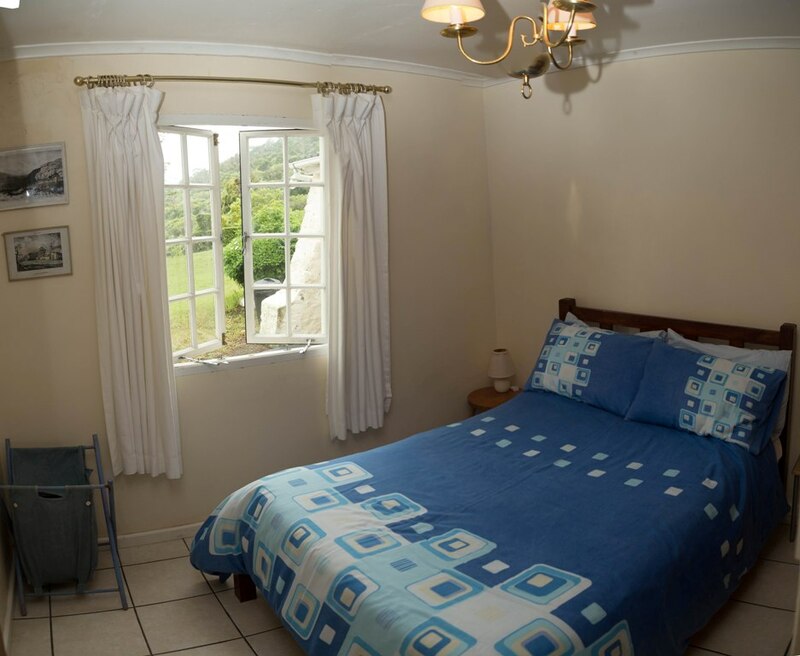 Bedroom 2 5.5m x 6.5m space, two windows to north, window to east, door to En Suite. 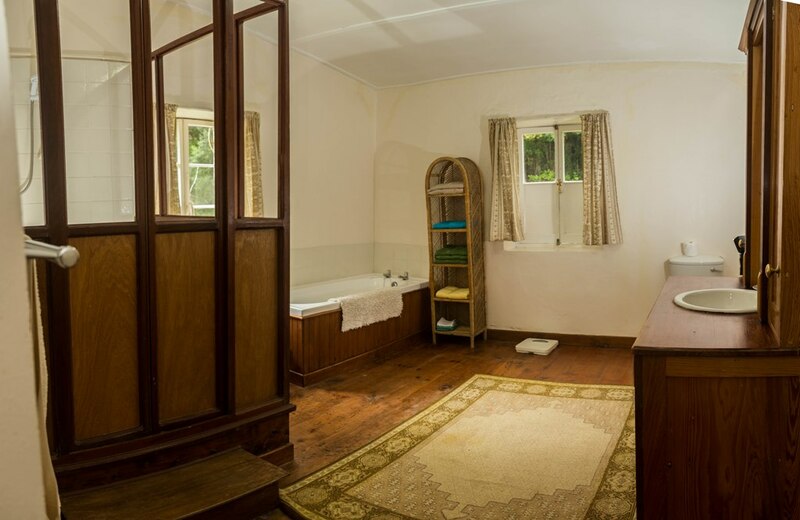 4.0m x 3.5m space, including bath, shower, toilet and wash-hand basin. 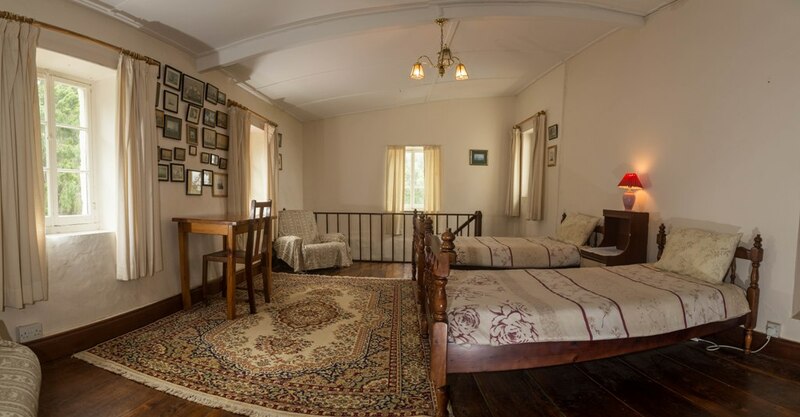 Bedroom 3 4.0m x 7.0m space, two windows to south, window to west, back staircase to Kitchen. Family Bathroom 4.0m x 3.5m space, including bath, shower, toilet and wash-hand basin. 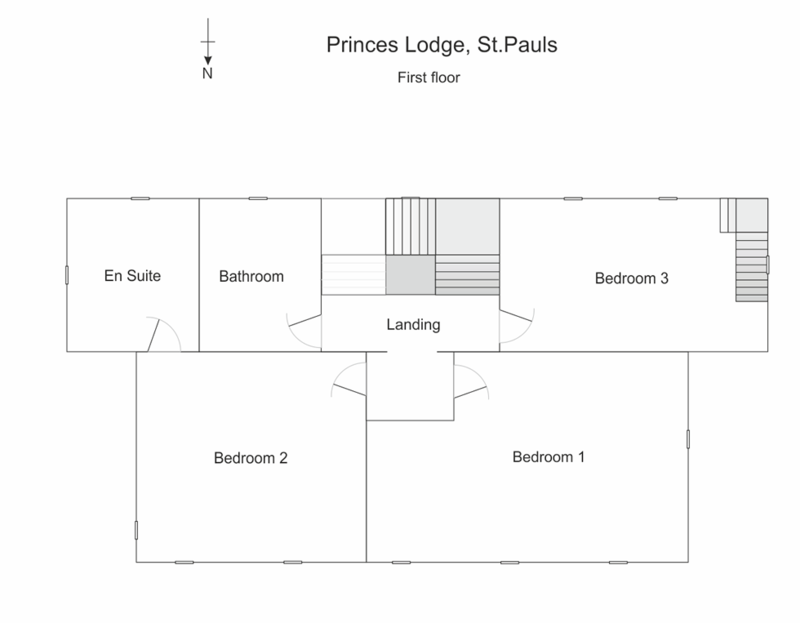 7.0m x 4.0m space, but includes separate spaces for Kitchen and Shower Room, window to south. Door to Breakfast room. Kitchen 2.0m x 1.8m space, window to south. Shower Room 3.0m x 1.8m space, with shower cubicle, toilet and wash-hand basin. Window to east. 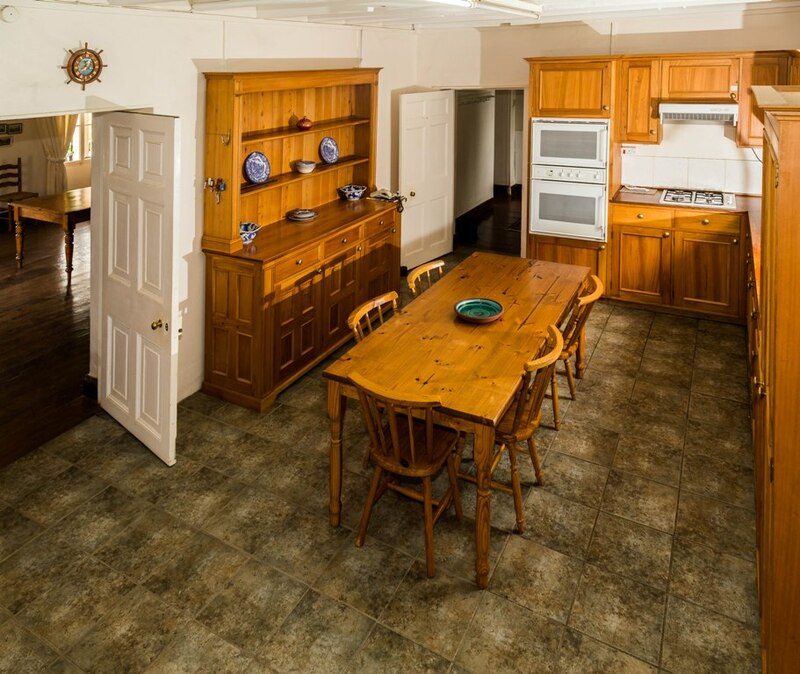 Breakfast Room 2.5m x 3.5m space, window to east, exterior door to north leading to Covered Verandah. 5.3m x 5.0m space, with archway to Hall, window to south. Hall 4.7m x 1.2m space, with archway to Kitchen, doors to Bedroom 1, Bedroom 2 and Bathroom. Kitchen 3.1m x 1.5m space, with archway to Hall. Bedroom 1 3.1m x 3.0m space, window to south. The plot is roughly rectangular, occupying 2.0 acres. 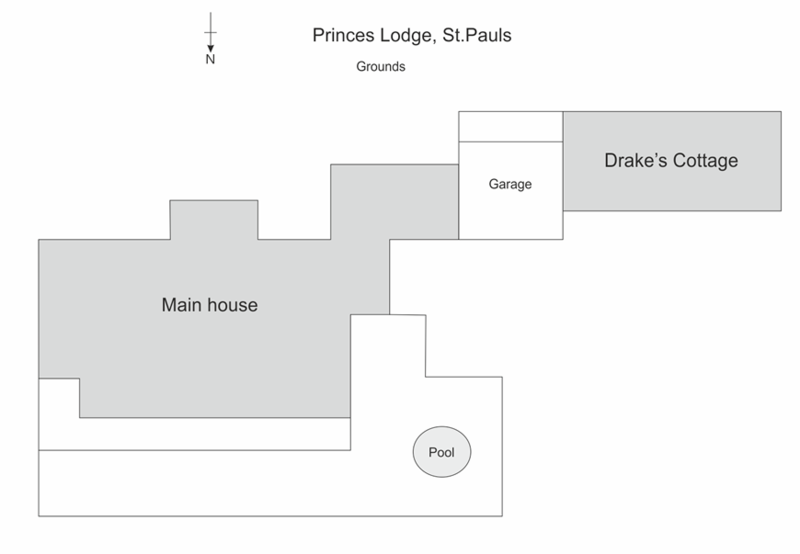 The buildings are situated at the southern end, with the driveway from the main road sweeping in a curve to in front of the main house and extending to the front of the Drake’s Cottage. The main house and the cottage are connected loosely by what was originally a Garage, but which has now been converted into a covered outdoor space, useful for family barbecues and such like. One side of this space has been sectioned off as an outside storeroom. There is also a small outside lavatory. The patio, an outdoor tiled area in front of the main house Veranda, extends to the west and includes a small raised pool, useful for bathing but probably too small for swimming. 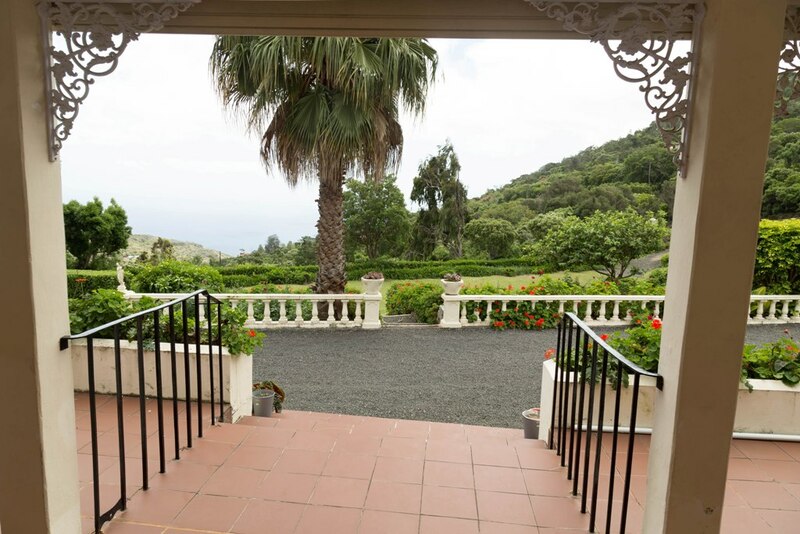 The grounds extend in a gentle downward slope to the north (the direction of the sun), and include lawns, gardens, shrubs and trees. A separate drive is under construction which would be useful if the lower part of the plot were excised for the construction of a separate property. . 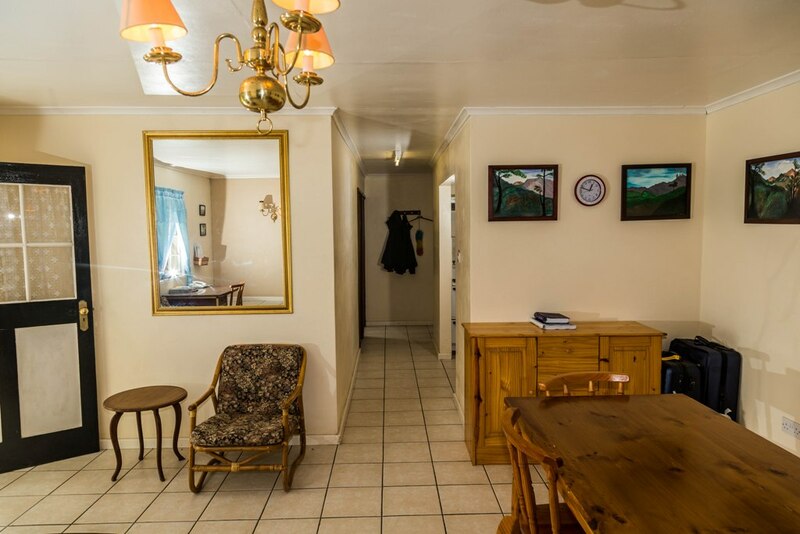 The property is offered for sale including all fixtures and fittings. With the exception of a few personal items, the furniture is also included. Furthermore, the sale include the collection of approximately 500 pictures, etchings, prints, maps, lithographs, aquarelles, engravings and other articles. 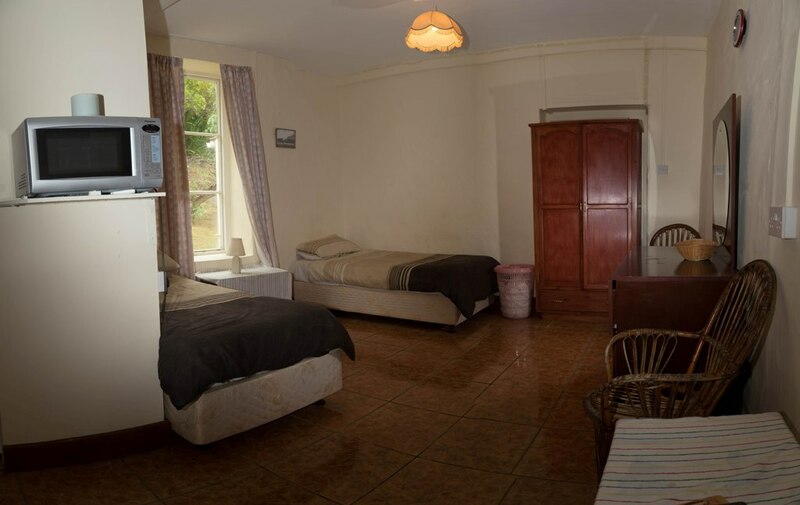 With these items included, all three accommodation units are suitable for immediate occupation. Services Water, electricity, telephone/internet, radio coverage (no local TV aerial installed). Sewerage services provided by septic tank in the grounds. Condition The condition of the property is good. Some of the grounds have been untended for some time and are in need of attention.